Under the State Budget for 2019 Act (700 SE), initiated by the Government, the revenue of the coming year’s state budget will be 11.06 billion euro. In comparison to 2018, the revenue will grow by 6.1 per cent, that is, by 639.5 million euro. The expenditure and investments volume of the state budget totals 11.32 billion euro in 2019. This is 7 percent, or EUR 735 million euro, more than in 2018. The revenue of the whole government sector will total 11.21 billion euro, and the expenditure and investments 11.08 billion euro. In 2019, the government sector budget will have a nominal surplus of 130 million euro, that is, 0.5 per cent of GDP, and it will be structurally balanced. The nominal budget surplus will provide an opportunity to reduce the government sector debt burden and to repay loans in the amount of approximately 70 million euro per year in the next years. At the third reading, the 23 motions to amend the Bill were reviewed, of which three motions by the Finance Committee were supported. At the third reading of the budget, regional investments were increased and various third sector and civil society projects were supported as one-off expenditures in the amount of 7.3 million euro. They will be covered by reducing the Government’s reserve to the same extent. The representatives of factions who took the floor during the debate gave their assessments of the coming year’s state budget. Andres Herkel (Estonian Free Party) said that the faction did not support the coming year’s budget which lacked a clear focus and aim, and several allocations were unjustified. Jürgen Ligi (Reform Party) mentioned personal gain and breach of rules as keywords of the budget. In his opinion, funds were being overspent. Ligi said that the Reform Party Faction would vote against the budget. Priit Sibul (Isamaa) said that it was possible to approve of the budget as well as to criticise it. In his opinion, it reflects the current situation in society. In Sibul’s estimation, the economic situation of the country is good, and the budget is based on that. Allocations of funds to the social sector have also been made correspondingly. He said that the Isamaa Faction supported the passage of the Bill. Martin Helme (Estonian Conservative People’s Party) disapproved of the biased supporting of interest groups through the budget. In his opinion, the accrual of revenues to the budget is good, but it may not be so in the future, and therefore the future perspective should have been kept in mind. In his opinion, making decisions on the distribution of funds has been based on political interest. Helme said that the Estonian Conservative People’s Party faction would vote against the budget. Kalvi Kõva (Social Democratic Party) pointed out the family benefits reform, as well as teachers’ pay rise and regional supports. Kõva said that their faction supported the passage of the Bill that was directed at the welfare of the people. Mihhail Stalnuhhin (Centre Party) thanked the members of the Riigikogu and the officials who had contributed to the proceedings on the Bill. In his opinion, the budget is moderate and involves no great reforms. He thought the budget was excellent and he called on to support the budget. 52 members of the Riigikogu supported the passage of the Act, and 46 were against. Under the Act on Amendments to the European Parliament Election Act (696 SE), initiated by the Constitutional Committee, the number of members of the European Parliament elected in Estonia is omitted from the European Parliament Election Act. The Act sets out that the number of members of the European Parliament elected in Estonia is provided for in European Union legislation. Under the Act that was in force until today, six members of the European Parliament were elected in Estonia. Under the European Council Decision of 28 June, however, the number of representatives in the European Parliament elected in Estonia in the European Parliament elections in 2019 will be seven. In the event that the United Kingdom’s withdrawal from the European Union will not yet have become legally effective at the beginning of the parliamentary term of the new European Parliament, six members from Estonia will take up seats in the European Parliament on the basis of the election results. The seventh member elected will take up their seat when the United Kingdom will have left the European Union. The Act also provides that the number of candidates on the list of a political party may exceed twice the number of members of the European Parliament elected in Estonia. Thus up to nine people may stand as candidates for the European Parliament on the lists of political parties next year. Up to now, the list of a political party could include up to 12 candidates, that is, is double the number of members of the European Parliament elected in Estonia so far. 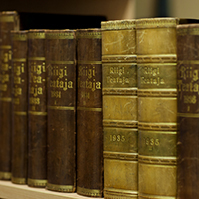 87 members of the Riigikogu voted for the passage of the Act. The Personal Data Protection Act (679 SE), initiated by the Government, regulates the use, processing and supervision of personal data. Starting from 25 May 2018, the directly applicable General Regulation of the European Union began to regulate the personal data protection law, and the national regulation in force needed to be brought into conformity with it. The general principles of the protection of personal data do not change. The protection of personal data is regulated by the general regulation which gives people stronger control over their personal data. Persons will have easier access to data concerning them, and they will have to be informed more thoroughly and clearly of how their data are processed. If a person does not wish his or her personal data to be available for processing any longer and there is no other legal basis for storing the data, the data will be deleted. The Personal Data Protection Act establishes, in accordance with the General Regulation, some specifications in the general principles of the processing of personal data upon processing of personal data for journalistic purposes and for scientific and historical research. Personal data may be processed for journalistic purposes and disclosed in the media without the consent of the person if there is a public interest to do so and this is in accordance with the principles of press ethics. For scientific and historical research, or for official statistics, personal data may be processed without the consent of the person by using a pseudonym or an equivalent form enabling data protection. The Act also establishes the general principles the law enforcement authorities must be guided by when processing personal data. Processors of personal data are required to inform persons of violations relating to their personal data. They must also inform the Data Protection Inspectorate. During the debate, Hanno Pevkur (Reform Party) and Jüri Adams (Estonian Free Party) took the floor. 73 members of the Riigikogu voted in favour of the passage of the Act, 13 were against, and there was one abstention. The aim of the Act on Amendments to the Investment Funds Act and Amendments to Other Associated Acts (717 SE), initiated by the Government, is to increase the performance of the second pillar pension funds by reducing the fees of mandatory pension funds, and to extend the investment options of the pension funds. The relevant EU directive concerning occupational pension fund is transposed into Estonian law. The Act provides for reduction of the maximum rate of the management fee of the second pillar pension funds from the current two per cent to 1.2 per cent of the value of the assets of the pension fund. The maximum rate of the management fee of a conservative pension fund is 1.2 per cent already at present. According to the Act, in the case of good investment results, a success fee may be charged as a part of the management fee. For that, the performance of the mandatory pension fund will have to exceed the growth of the pension insurance part of social tax starting from the moment of the establishment of the fund in the case of mandatory pension funds established as of September 2019 or later. It is not permitted to charge a success fee on the management of a conservative pension fund. The Act reduces the investment restrictions of the pension funds. In the future, funds investing in shares to the extent of 100 per cent will be allowed. The concept of conservative pension fund is preserved, but the Act allows them to invest in shares to the extent of up to ten per cent. At present, these funds must not invest in shares. In addition, the second pillar pension funds are allowed to make real estate investments to a larger extent which might also support investing in Estonia. According to the Act, up to ten per cent of the assets of a pension fund may be invested in an immovable, instead of five per cent, as was the case until now. The Act transposes the EU directive on the activities and supervision of institutions for occupational retirement provision. The directive amends the governance requirements applicable to occupational pension funds, and the information of members of pension schemes. A mandatory pension statement is established for information of members of pension schemes. A pension statement gives information on the amount of money that has been accrued in the occupational pension scheme, and the amount that the employee can expect from the scheme until he or she retires. There are no such funds in Estonia as discussed in the directive, and therefore the amendments have no practical effect. The transposition of the directive does not concern employer’s contributions to the third pillar. Eiki Nestor (Social Democratic Party) took the floor during the debate. 85 members of the Riigikogu voted in favour of the passage of the Act, and one was against. The Act on Amendments to the Medicinal Products Act (706 SE), initiated by the Government, amends the requirements for safety features which need to be brought into conformity with a European Commission Regulation. With the implementation of the European Commission Regulation, the safety features of medicinal products are adopted in the whole Europe and a system will be established that will allow authentication of medicinal products at any point of the supply chain in the future. In the future, the Act will obligate medicinal product manufacturers to place safety features on the packaging of medicinal products subject to prescription. Wholesalers and pharmacists will have the additional obligation to check the safety features of medicinal products. Under an amendment, branch pharmacies established before 9 June 2014 will be allowed to operate in cities with a population of over 4,000 people until 1 April 2020. Monika Haukanõmm took the floor during the debate. 71 members of the Riigikogu voted in favour of the passage of the Act, six were against, and there were three abstentions. The Act on Amendments to the State Pension Insurance Act and Amendments to Other Associated Acts (613 SE), initiated by the Government, discusses amendments relating to the retirement age and the pension formula, and the establishment of flexible pension, as well as the reopening of the possibility for making contributions to the second pillar pension. The aim of the amendments is to ensure that pensions are more solidary, take into account demographic trends, and are sufficiently flexible so that a person could choose for himself or herself when he or she wishes to retire. The amendments to the Act mainly concern persons who were born in 1962 or later and who will reach retirement age after 2026. The Act links, as of 2027, the retirement age to the change in the average life expectancy for 65-year-olds. At present, the retirement age depends on the year of birth of the person, and it is 63 years and 6 months at the moment. According to the Act, the transitional period will last until 2026 when the retirement age will be 65 years. Starting from 2027, the retirement age will be 65 years, to which the change in the life expectancy for 65-year-olds will be added. If life expectancy rises, the retirement age will also rise, and vice versa. The retirement age may increase by up to three months in a calendar year. Starting from 2021, retirement will become more flexible. Under the Act, in the future, it will be possible to retire up to five years before the retirement age, or to postpone the receipt of pension for as long as one wishes. As a result of the amendments, people will be able to work according to their skills and health, and receive a flexible pension during that time. The Act changes the pension formula for the first pillar. Instead of an insurance part depending on the amount of remuneration, starting from 2021, people will collect a combined part, of which one half will calculated on the basis of the length of service and the other half on the basis of remuneration. Under the Act, the reduction of the requirement for a pension qualifying period for persons with partial or no capacity for work is retained in the cases when they work at a reduced burden, more specifically, up to the extent of the minimum wage. The possibility to make contributions to the second pillar is reopened to persons who were born in 1970–1982. During the debate, Hanno Pevkur (Reform Party), Tiina Kangro, Helmen Kütt (Social Democratic Party), Marika Tuus-Laul (Centre Party) and Aivar Kokk (Isamaa) took the floor. 52 members of the Riigikogu voted in favour of the passage of the Act and 34 voted against. The Act on Amendments to the European Union Common Agricultural Policy Implementation Act (714 SE), initiated by the Government, updates the European Union Common Agricultural Policy Implementation Act on the basis of the amendments to current Regulations of the European Parliament and of the Council. Also, the manner of notification of the implementation of the measures necessary to maintain the area of a permanent grassland eligible for climate and environmental payment is changed, and a mistake that occurred in the course of the amendment of the Public Procurement Act is corrected. Based on the amendments to an EU Regulation, as of 2018, Member States have the possibility to abandon the additional verification whereby a person proves that he or she is an active farmer. At present, farmers who, among other things, for example, operate airports, railway services, waterworks, real estate services, permanent sport and recreational grounds, must prove additionally that they are active farmers, to receive support; in the future, no additional proof will be needed. Such persons will be deemed to be active farmers. In the future, the beneficiaries of the climate and environmental payment will not be announced in the official publication “Ametlikud Teadaanded”, but information will be published on the website of the Estonian Agricultural Registers and Information Board, and a personal notification will be sent to the beneficiary. The Farm Animals Breeding Act (715 SE), initiated by the Government, implements the EU Regulation on zootechnical and genealogical conditions for the breeding, trade in and entry into the Union of purebred breeding animals, hybrid breeding pigs and the germinal products thereof. The Act establishes the procedure for applying for activity licences for breeding, the object of inspection of activity licence and the procedure for approval of breeding programmes, the conditions for the application of the derogations concerning the entry of animals in herd-books and registration of animals in breeding registers, and the provisions concerning the exercise of supervision over breeding. According to the Act, the Veterinary and Food Board is the competent authority within the meaning of the Animal Breeding Regulation. 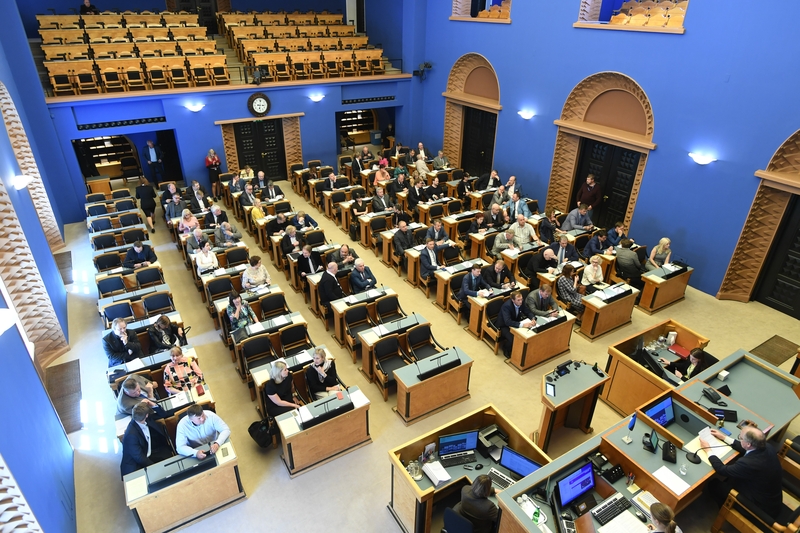 75 members of the Riigikogu voted in favour of the passage of the Act, five were against, and there was one abstention. Under the Act on Amendments to the European Union Common Agricultural Policy Implementation Act, the Fisheries Market Organisation Act, the 2014–2020 Structural Assistance Act and the 2007–2013 Structural Assistance Act (687 SE), initiated by the Rural Affairs Committee, the calculation of the late interest applied upon recovery of payments, aid and support becomes flexible and takes more account of the rights of beneficiaries. According to the Act, in the future, late interest will no longer be charged in the event of deferral of the recovery of payments, aid or support granted under the European Union Common Agricultural Policy Implementation Act. Instead of that, the beneficiary will pay interest which will be six months’ EURIBOR plus three per cent per year. A similar regulation also applies upon the recovery of payments, aid and support granted under the Fisheries Market Organisation Act and the Acts concerning structural assistance. In addition, the Acts are amended by including the principle established in judicial practice in private law according to which the amount of late interest must not exceed the principal debt. 82 members of the Riigikogu voted in favour of the passage of the Act and there was one abstention. 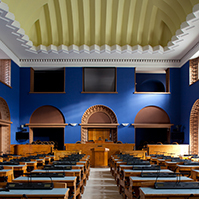 The Act on Amendments to the Museums Act (716 SE), initiated by the Government, changes the principles for compensation for the damage caused to the owner of an international exhibition, and brings the regulation of the national guarantee of the compensation for damage to an exhibition in Estonia into conformity with internationally accepted practice. The aim of the Act is to increase the credibility of the organisers of exhibitions in Estonia in international communication, and to facilitate the organisation of international exhibitions. Under the Act, the national regulation of the guarantee of compensation for damages to the exhibition does not cover the risks acknowledged in the practice of exhibiting international exhibitions which the exhibitor cannot influence or take into account when providing a security. According to the Act, the Government establishes the list of the risks. Under the current Act, the compensation for the damage to the exhibition does not cover the damage that has been caused by confiscation of the exhibition by another state, the natural aging of the work, a fault that was made during earlier restoration or conservation, or force majeure. As the most important amendment, the Act abandons the use of the concept of “force majeure” and extends the risks that have been regarded as force majeure up to now, this way including, for example, damage caused by natural forces as well as terrorist attacks occurring during transportation of the exhibition. With the amendment, the system of compensation for damages to the exhibition that is in force in Estonia will become more credible in the eyes of international cooperation partners. It will also allow reducing the insurance costs of state museums and museums operating as foundations established by the state. The Act establishes the conditions for cases in which the compensation for damage covers only part of the composition and value of the exhibition. Such conditions are the cultural significance of the exhibition, the high price of the guaranteed compensation for damage, or the existence of an equivalent guarantee of a foreign country. The Act also provides that if the part of the compensation for damage which is not ensured is not covered by a guarantee granted under equivalent law of a foreign country, an insurance contract must be concluded. 83 members of the Riigikogu voted for the passage of the Act. The Act on Amendments to the Vocational Educational Institutions Act and Amendments to Other Associated Acts (704 SE), initiated by the Government, links vocational education better with the needs of the labour market, updates the principles of funding vocational education, allows better access to vocational education and enhances the process of assessment of the quality of vocational education. The amendments proceed from the objectives set in the Estonian Lifelong Learning Strategy 2020 and the vocational education programme 2018–2021 drawn up to implement it. According to the Act, the school council approves the number of student training places for a calendar year which is coordinated with the advisory body of the school beforehand. This means that the state in cooperation with partners negotiates the training volumes of every school. The amendment will allow responding more immediately to the needs of learners and the labour market in cooperation with local undertakings. According to the Act, activity support and, if necessary, targeted support is allocated to schools from the state budget. Performance funding accounts for up to 20 per cent of the base funding volume and depends on the performance indicators of the school. Base funding gives the school security that its operating expenses are covered, and performance funding increases motivation and autonomy. The Act also extends the target group of the school lunch allowance, according to which the school lunch allowance is allocated to schools for pupils who have not completed secondary education and who study in full-time study according to initial training curricula, regardless of their age. Under the current procedure, the school lunch allowance is given until the end of the current academic year to pupils who have attained 20 years of age and who have not completed secondary education. The Act amends the conditions for receiving the beginner’s allowance for vocational teachers, and in the future teachers who take up teaching at vocational schools in Tallinn or Tartu will also be able to apply for the beginner’s allowance. According to the amendments, the beginner’s allowance will be paid as a lump sum as of 1 September 2020. At present it is paid in three instalments. The beginner’s allowance is also provided for for support specialists who take up employment at vocational educational institutions for the first time. The beginner’s allowance for support specialists and teachers is around 12 700 euro. The Act provides for the possibility to provide general education instruction in the form of non-stationary study in vocational educational institutions with a view to broadening opportunities for access to formal education. At present, local governments also ensure acquisition of basic education in non-stationary study for persons of 17 years of age or older, and there is also the possibility to provide the relevant study at state upper secondary schools. The Act provides for the possibility for vocational educational institutions to open vocational choice curricula. It is formal education at vocational educational institutions in preparation for specialised studies. Opening of vocational choice curricula will ensure better access to vocational education for basic school graduates who are not sure of their choice of specialty and who lack clear motivation to continue with studies or in the labour market at once. The Act changes the current organisation of accreditation of vocational education which is replaced with quality assessment. In the quality assessment process, a school that has the right to provide instruction in a curriculum group without a term will receive substantive feedback on the study process as well as on how to improve the organisation of study at least once every six years. 80 members of the Riigikogu voted for the passage of the Act. The Act on Amendments to the Income Tax Act (705 SE), initiated by the Government, transposes several rules preventing tax avoidance and tax evasion. In the future, for the purposes of calculating the tax liability, an arrangement or a series of arrangements which, having been put into place for one of the main purposes of obtaining a tax advantage, are not genuine having regard to all relevant circumstances, will be ignored. The European Union directive lays down rules against tax avoidance practices that directly affect the functioning of the internal market. The Act aims to reduce the possibilities for Estonian state companies to evade taxation of the profit earned in Estonia, as well as the possibility for non-residents to reduce their tax liability when using the Estonian income tax system. The Act implements the following rules to prevent tax avoidance to prevent the erosion of tax bases and the shifting of untaxed profits out of the internal market: a general anti-abuse rule, the taxation of exceeding borrowing costs, exit taxation, and controlled foreign company rules. In addition, the Act amends, based on judicial practice, the procedure for making deductions from the income of non-resident natural persons, and makes technical amendments in connection with the deduction of the basic exemption of resident natural persons, and advance payments of credit institutions. During the debate, Aivar Sõerd (Reform Party) and Priit Sibul (Isamaa) took the floor. 80 members of the Riigikogu voted in favour of the passage of the Act, and six were against. The Riigikogu did not pass the Personal Data Protection Act Implementation Bill (650 SE), initiated by the Government, which provided for incorporation of relevant amendments into Estonian Acts in order to implement the Personal Data Protection Act. Marko Pomerants (Isamaa), Hanno Pevkur (Reform Party) and Jüri Adams (Estonian Free Party), who took the floor during the debate, drew attention to the fact that, during the proceedings, after the conclusion of the second reading, a doubt had arisen that some amendments proposed to the Imprisonment Act by the Bill could provide the possibility to infringe the fundamental rights of persons excessively, and therefore they recommended not to support the passage of the Act in the final vote. No one supported the passage of the Act, 45 were against and there were two abstentions, and therefore it was dropped from the proceedings. The Resolution of the Riigikogu “Replacement of the Capital Subscribed by the United Kingdom in the European Investment Bank” (751 OE), submitted by the Government, provides for the replacement of the capital subscribed by the United Kingdom in the European Investment Bank. With its Resolution, the Riigikogu authorises the Minister of Finance to vote in favour of the new capital distribution in the Board of Directors of the European Investment Bank. Under the new capital distribution, the member states will proportionally replace the United Kingdom’s share in the bank’s capital. The capital subscribed by Estonia will increase from 173 020 000 euro to 206 248 240 euro. The capital paid in by Estonia will increase by 2 963 711 euro to a total of 18 395 811 euro. No direct financial obligation is involved because the contribution grows at the expense of the reserves created from the profit of the European Investment Bank gained in earlier years. The decision needed to be approved by the Riigikogu, because the proprietary obligation of the Estonian state increased. In connection with the United Kingdom’s withdrawal from the EU, the United Kingdom’s share in the capital of the European Investment Bank has to be replaced with shares of the remaining member states. Failure to do that would reduce the ability of the bank to borrow, and would also jeopardise the bank’s AAA credit rating which allows borrowing at a lower interest rate. 90 members of the Riigikogu voted in favour of the passage of the Resolution and there were two abstentions. The Resolution of the Riigikogu “Use of the Defence Forces in the Fulfilment of the International Commitments of the Estonian State in Another International Military Operation Led by the North Atlantic Treaty Organization or its Member State, the European Union or the UN upon the First Contribution thereto” (744 OE), submitted by the Government, provides for the use of up to 50 servicemen of the Defence Forces, as necessary, in a military operation organised for the purpose of maintaining or restoring peace and security on the basis of the provisions of Chapters VI and VII of the Charter of the United Nations, led by NATO or its member state, the EU or the UN, or in any other military operation in compliance with generally recognised principles and provisions of international law, upon the first contribution thereto. Such a mandate is given due to the need to respond as flexibly as possible to a situation that may escalate quickly, for example if Estonia’s security policy interest requires rapid deployment of the Defence Forces units to operations that do not fall under other exemptions allowing rapid response (e.g. participation in the NATO response force) provided for in the National Defence Act. In 2018, Estonia also contributed with up to 50 servicemen. 65 members of the Riigikogu supported the passage of the Resolution and three were against. The Resolution of the Riigikogu “Use of the Defence Forces in the Fulfilment of the International Commitments of the Estonian State in the North Atlantic Treaty Organization Mission in Iraq” (748 OE), submitted by the Government, provides for participation in the NATO mission NMI (NATO Mission Iraq) in Iraq with up to five servicemen. The new non-combat training and capability building mission was established at the NATO Summit in Brussels on 11-12 July this year. It is based on the request of the Iraqi Government to provide additional support to the Government’s efforts to stabilise the country and to fight terrorism. 66 members of the Riigikogu supported the passage of the Resolution. The Resolution of the Riigikogu “Extension of the Time Limit for the Use of the Defence Forces in the Fulfilment of the International Commitments of the Estonian State in the Post-Conflict Peacekeeping Mission in Lebanon, Israel, Egypt and Syria” (739 OE), submitted by the Government, provides for participation in the United Nations peacekeeping mission in the Middle East with up to six servicemen also in 2019. The activities are carried out in the Middle East, more specifically in Israel, Egypt, Lebanon and Syria. The Estonian military observers have been participating in the membership of the mission since 1997. 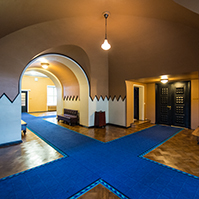 As of 2014, Estonia’s contribution to the mission was increased to up to six servicemen with a Resolution of the Riigikogu. 62 members of the Riigikogu supported the passage of the Resolution. The Resolution of the Riigikogu “Use of the Defence Forces in the Fulfilment of the International Commitments of the Estonian State in the Composition of the North Atlantic Treaty Organization Response Force” (738 OE), submitted by the Government, provides for participation in the composition of the North Atlantic Treaty Organization Response Force (NRF) with up to 52 servicemen. Earlier, Estonia has contributed to the NRF in the composition of NATO Standing Naval Forces (SNF) with a navy staff and support vessel and mine countermeasure vessels, explosive ordnance disposal units and military police units, special forces, a movement coordination unit, staff officers, and a joint infantry battalion of NRF-14 together with other Baltic countries. The Resolution of the Riigikogu “Extension of the Time Limit for the Use of the Defence Forces in the Fulfilment of the International Commitments of the Estonian State in the International Military Operation “Inherent Resolve”” (747 OE), submitted by the Government, provides for continuing participation in the international military operation “Inherent Resolve” with up to ten servicemen. The US-led international military operation “Inherent Resolve” against ISIL was launched on 15 June 2014. The aim of the operation is direct and supporting military action against ISIL, in Iraq as well as in the region more widely. Estonia began its participation in the operation “Inherent Resolve” in August 2016. 65 members of the Riigikogu supported the passage of the Resolution. The Resolution of the Riigikogu “Extension of the Time Limit for the Use of the Defence Forces in the Fulfilment of the International Commitments of the Estonian State in the Training and Advisory Mission in Afghanistan” (743 OE), submitted by the Government, provides for continuing participation in the NATO-led training and advisory mission in Afghanistan with up to 46 servicemen. Estonia has participated in the NATO-led International Security Assistance Force (ISAF) operation in Afghanistan for 11 years (2003−2014) and is planning to continue meeting its Alliance commitments in the NATO-led training and advisory mission in the current extent. 64 members of the Riigikogu supported the passage of the Resolution. The Draft Resolution of the Riigikogu “Extension of the Time Limit for the Use of the Defence Forces in the Fulfilment of the International Commitments of the Estonian State in the European Union Training Mission and the United Nations Peacekeeping Mission in Mali” (746 OE), submitted by the Government, provides for continuing participation in the European Union Training Mission in Mali (EUTM Mali) with up to ten servicemen, and in the United Nations (UN) peacekeeping mission in Mali (MINUSMA) with up to ten servicemen. Estonia’s contribution to the EUTM Mali mission is important because it is one of the priorities of the Estonian state to participate in the implementation of the EU’s Common Security and Defence Policy and to develop cooperation with strategic allies. The Mali mission has become one of the most important military operations of the EU. The participation of Estonian servicemen in UN operations helps strengthen Estonia’s contribution to UN activities in securing peace. 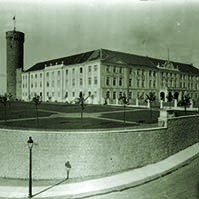 The Resolution of the Riigikogu “Use of the Defence Forces in the Fulfilment of the International Commitments of the Estonian State in the Composition of the United Kingdom’s Joint Expeditionary Force” (740 OE), submitted by the Government, provides for participation in the composition of the United Kingdom’s Joint Expeditionary Force (JEF) with up to 24 servicemen. The JEF is a coalition of the willing, initiated, owned and led by the United Kingdom, with membership of other countries. For Estonia, joining the JEF was a natural continuation to the very good, close and long-standing bilateral political and military ties with the United Kingdom. The Resolution of the Riigikogu “Extension of the Time Limit for the Use of the Defence Forces in the Fulfilment of the International Commitments of the Estonian State in France’s Military Operation Barkhane in Mali” (741 OE), submitted by the Government, provides for participation in France’s military operation “Barkhane” in Mali with up to 50 servicemen. It is an Estonia’s defence policy interest to support a stable security environment globally and solidary contribution of the European countries in the fight against the threats affecting Europe, in their place of origin where possible. As of August 2018, Estonia participates in the operation with a total of up to 50 servicemen. 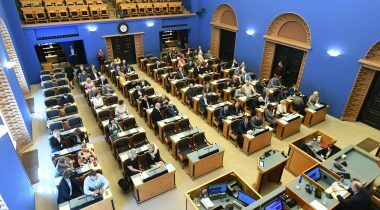 59 members of the Riigikogu supported the passage of the Resolution and one was against. The Resolution of the Riigikogu “Extension of the Time Limit for the Use of the Defence Forces in the Fulfilment of the International Commitments of the Estonian State in the UN Peacekeeping Mission in Lebanon” (742 OE), submitted by the Government, provides for participation in the United Nations (UN) mission UNIFIL (United Nations Interim Force in Lebanon) with up to three servicemen. Estonia participated in UNIFIL in 1996–1997, when it contributed with a peacekeeping company (135 servicemen). Starting from spring 2015 to autumn 2018, Estonia contributed with an infantry platoon and a support element in the composition of the Irish-Finnish joint battalion in UNIFIL in Lebanon. Participation in the mission is continued with up to three servicemen, instead of the current 50 servicemen. The Bill on Amendments to the Credit Institutions Act and Other Acts (750 SE), initiated by the Government, will establish the ranking of unsecured claims resulting from debt instruments issued by credit institutions (banks) in the proceedings for the insolvency and resolution of banks. The Bill will update the requirements for the capital, management and merger for banks and investment firms, and for insurance undertakings, and the bases for the formation of automatic motor insurance. In addition, the bases for the resolution of banks and credit institutions will be amended, and the cooperation of the Guarantee Fund with the guarantee schemes of other European Union Member States, and EU institutions will be specified. The amendment made with the Bill provides that only persons who have the knowledge, skills, experience, education, professional aptitude and impeccable business reputation needed to manage a credit institution, a financial holding company or a mixed financial holding company may be elected or appointed managers of credit institutions, parent financial holding companies of credit institutions, and mixed financial holding companies. The Bill will increase financial stability, and ensure the credibility and transparency of the financial sector and the sustainable functioning of the market. During the debate, Valdo Randpere (Reform Party), Tarmo Kruusimäe (Isamaa) and Maris Lauri (Reform Party) took the floor. The Reform Party Faction moved to suspend the second reading of the Bill. The result of voting: 22 in favour, 36 against. The motion was not supported. The second reading of the Bill was concluded. The Bill on Amendments to the Labour Market Services and Benefits Act and Other Acts (641 SE), initiated by the Government, will specify the requirement for (obligation to submit a notice of economic activities) and restrictions on (no fees may be charged personally for employment service and mediation of temporary agency staff) providing employment service and the service of mediating temporary agency staff, set for undertakings. The Bill will enhance supervision of compliance with the requirement for and restrictions on the provision of service, set for undertakings providing employment service and mediating temporary agency staff. Under the current Act, the Ministry of Social Affairs exercises supervision over undertakings. According to the Bill, the Labour Inspectorate will exercise state supervision of undertakings for compliance with the requirements set out in the Act. The Bill will amend five other Acts: the Gender Equality Act, the Employment Contracts Act, the Occupational Health and Safety Act, the Unemployment Insurance Act and the Work Ability Allowance Act. Amendments to six Acts have been consolidated into one Bill, because several amendments are interrelated or similar. The Bill on Amendments to the Animal Protection Act (734 SE), initiated by the Government, will bring Estonian legislation into conformity with the relevant EU directive that regulates the protection of animals used for scientific purposes. In the opinion of the European Commission, Estonia has transposed the directive inadequately, and that has resulted in infringement proceedings. The amendments proposed by the Bill concern the carrying out of animal tests, accommodation of experimental animals, and the related duties of undertakings. The explanatory memorandum notes that the European Commission’s remarks are mostly of a technical nature and concern shortcomings related to wording, sentence structure and the use of deficient or incorrect expressions. The Commission finds that the wording of several national provisions is not precise enough to correspond to the provisions of the directive. A remark also points out that some of the concepts, characteristics and elements specified in the directive have been defined deficiently or have not been separately defined, or explicit substantive expressions supporting the objectives of the directive are lacking in Estonian legislation. The Commission notes that some provisions have not been transposed into Estonian law. The Commission also finds that the administrative practices that are in conformity with the directive, as described by the Estonian authorities in their reply, are not sufficient for the transposition of the directive. The Bill on Amendments to the Rural Development and Agricultural Market Regulation Act and Amendments to Other Associated Acts (735 SE), initiated by the Government, will protect valuable agricultural land and restrict the use thereof for other purposes. “Agricultural land” and “valuable parcel of agricultural land of national and local importance” will be defined. The obligation to maintain valuable agricultural land will be provided for, and restrictions on construction thereon will be established. As a general rule, construction will not be permitted on agricultural land of national importance. However, this will be allowed under certain conditions or with the permission of the Agricultural Board. Local governments will determine agricultural lands of local importance. The Bill on Amendments to the Foreign Service Act and Amendments to Other Associated Acts (718 SE), initiated by the Government on 8 October. The Bill will update the Foreign Service Act. The current Foreign Service Act was passed in 2007, and the most recent amendment was drafted in 2016. The whole system will become simpler and clearer for foreign service officials, and bureaucracy and administrative burden will be reduced significantly. The updating of the Act will improve the efficiency of the whole foreign service system. The International Sanctions Bill (721 SE), initiated by the Government on 15 October. The Bill will update and organise the International Sanctions Act. The Bill of the consolidated text of the new International Sanctions Act has four main aims: to correct the distribution of competence in the national implementation of international sanctions so that it would be in conformity with developed sanction regimes; to add a legal framework concerning the imposition of sanctions by the Government of the Republic for situations where no agreement on the imposition of sanctions is reached in the UN or the EU; to update the special regulation of financial sanction and to amend the Penal Code so that it would allow for more efficient proceedings on violations of sanctions. The new Act will have a positive impact on the foreign relations of Estonia, as it will help perform the obligation of Estonia to impose international sanctions without delay and correctly, arising from international and EU law. The updated regulation will also have a positive national impact, as the obligations relating to the imposition of the sanction will become more understandable to both the public and the private sector. 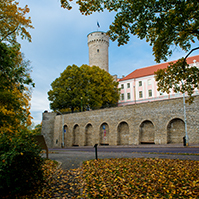 The Bill on Amendments to the Code of Civil Procedure and Amendments to Other Associated Acts (establishment of the procedure for declaration of enforceability of decisions of arbitral tribunals made in Estonia) (749 SE), initiated by the Government on 12 November. The Bill will bring the regulation of arbitral tribunals into conformity with the practice of the Supreme Court. 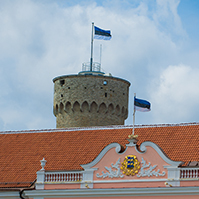 The main amendment is intended to harmonise the requirements for the recognition and declaration of enforceability of decisions of arbitral tribunals operating in Estonia. An obligation will be created under which the decisions of all arbitral tribunals operating in Estonia will have to be declared enforceable, except for the decisions made in the proceedings of the arbitral tribunal of the Estonian Chamber of Commerce and Industry and the arbitral tribunal of the Chamber of Notaries. The Bill contains provisions concerning amendment of the regulation of arbitration proceedings. As the main amendment, the requirements for the recognition and declaration of enforceability of decisions of arbitral tribunals operating in Estonia will be harmonised, and an obligation will be created under which the decisions of all arbitral tribunals operating in Estonia will have to be declared enforceable, except for the decisions made in the proceedings of the arbitral tribunal of the Estonian Chamber of Commerce and Industry and the arbitral tribunal of the Chamber of Notaries. Within the framework of the amendment of the regulation of arbitration proceedings, the Code of Civil Procedure, the Code of Enforcement Procedure, the State Fees Act, the Code of Civil Procedure and the Code of Enforcement Procedure Implementation Act, the Notaries Act and the Securities Market Act will be amended. The Estonian Free Party Faction moved to reject the Bill at the first reading. The result of voting: 4 in favour, 8 against. The motion was not supported. The first reading of the Bill was concluded. The Bill on Amendments to the Code of Civil Procedure and Other Acts (759 SE), initiated by the Government on 19 November. The Bill will establish restrictions on the right of appeal in civil proceedings, enforcement proceedings and bankruptcy proceedings. The restrictions will mainly concern the right to appeal to the Supreme Court against a ruling of a circuit court concerning an appeal against a ruling of a county court. The proposals to set restrictions concern both the appealing against procedural rulings and the appealing against final decisions on matters on petition. The proposals made by the Supreme Court aim to ensure procedural economy, and better use of judicial resource. The Bill will also specify the limit for the reimbursement of the remuneration and expenses of the trustee in bankruptcy from state funds. Under the implementing provision, in the future, judicial decisions that have entered into force as of 1 January 2006 will be subject to publication on the Internet. The sitting ended at 10.20 p.m.